Twenty-six years after being forced from Lebanon’s presidential palace and into exile by the Syrian army, Michel Aoun is set to be elected head of state on Monday, backed by many of his old enemies. Barring a surprise, many of Lebanon’s sectarian politicians will back the 81-year-old Christian leader in the parliamentary vote. Aoun can rely for support on Iranian-backed Hezbollah, with which he has been allied for a decade. 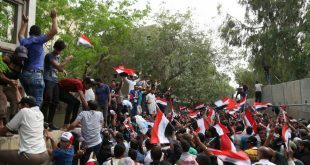 But he will fulfill his long-held ambition thanks to the unlikely endorsement of Sunni leader Saad al-Hariri, who waged political war for years against the Shi’ite Hezbollah movement and its allies with Saudi backing. Aoun’s election would end a 29-month-long vacuum in the presidency, part of a political crisis that has paralyzed Lebanon’s government and raised concerns over its future as civil war rages in neighboring Syria. However, doubts remain over his ability to forge the cross-community consensus needed to make his administration succeed. “I do not know to what degree he will be able to reconcile the great contradictions that his rule will group together,” said Nabil Boumonsef, a political commentator at An-Nahar newspaper. An Aoun victory would mark a remarkable turn of fortune for the former general who fought two wars in the late 1980s at the end of Lebanon’s 1975-90 civil war – one against Syria and the other against rival Christian forces. His subsequent alliance with Hezbollah backed by its Syrian and Iranian patrons helped to cement divisions in the once dominant Maronite Christian community. But it also angered the United States, which views Hezbollah – a heavily armed group and Syria’s strongest Lebanese ally – as a terrorist organization. His election will also be viewed as a victory for Hezbollah, Tehran and Damascus over Hariri’s Sunni allies in Riyadh at a time when Saudi Arabia has appeared to retreat from Lebanon as it prioritizes fighting Iran in the Gulf. It will also raise questions over Western policy towards Lebanon, whose army depends on U.S. military aid. His victory would mark a new phase in Lebanese politics, and the final collapse of the Saudi-backed alliance that had struggled against Hezbollah and its allies since the 2005 assassination of Rafik al-Hariri. Hariri and his allies initially accused Syria of killing Rafik. A U.N.-backed tribunal later charged five Hezbollah members over the killing. Hezbollah denies any role. The unlikely spectrum of support for his candidacy includes civil wartime enemies Samir Geagea, a rival Christian, and Druze leader Walid Jumblatt. 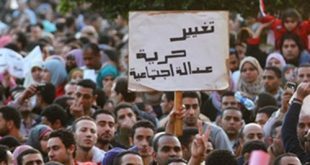 But he still has powerful adversaries opposed to his election, foremost among them the influential Parliament Speaker and Shi’ite leader Nabih Berri. Hezbollah’s steadfast backing for Aoun has been critical to getting him this close to the presidency. Last year Hariri proposed Franjieh, another Hezbollah ally, for the position. But rather than ditching Aoun, Hezbollah declared him “the obligatory path” to the presidency. Less than a year later, he struck his alliance with Hezbollah, positioning himself squarely in the pro-Damascus camp that later mobilized to try to topple the U.S.-backed government at the time. Aoun’s move to Hezbollah drew anger from the United States which believed he had given political cover for it to keep its weapons and “moved a long way” from his support for a U.N. resolution that sought the disarmament of all militias in Lebanon, according to a U.S. diplomatic cable published by Wikileaks. In the 2006 cable, then U.S. ambassador Jeffrey Feltman concluded Aoun’s presidential ambitions were “overriding any other concern”. Aoun told the Americans the alliance was an attempt to draw Hezbollah into the political mainstream. In that period, he fought the “War of Liberation” against the Syrian army and the “War of Cancellation” against the Christian Lebanese Forces militia. The Maronites lost much of their political power in the deal that ended the war – an agreement Aoun had initially opposed. Aoun visited Syria in 2009, where he met President Bashar al-Assad. In a 2014 interview, Assad said he would welcome Aoun’s election as president, calling him a believer in “the resistance” – a reference to Hezbollah. Hezbollah is fighting in Syria in support of Assad. 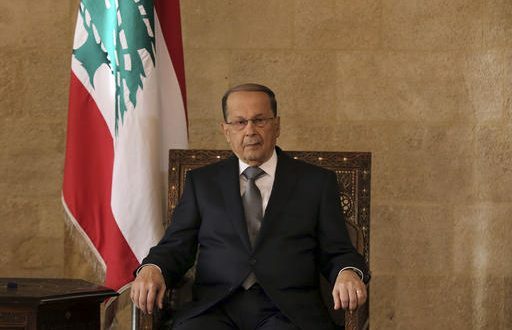 Aoun has defended Hezbollah’s role in Syria, saying that it was defending Lebanon and Lebanese Christians from the threat of jihadist militancy. Hezbollah’s Lebanese opponents say its role there increases the risks to the country.